Oops! It's Past Your 9th Birthday! Hi there! It's been a while on the old blog-o. Knock, knock...is this thing on? My in-laws were here over the weekend and the Little Guy started school yesterday. The regular busy routine starts again. 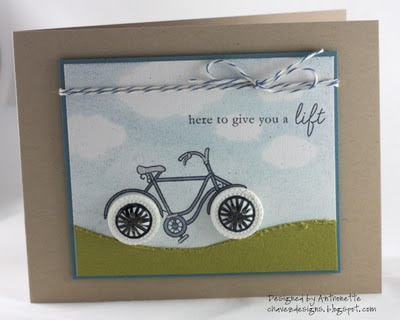 I'm back today to share a card I made last week for our friend, Joshua. I felt so bad because we missed his birthday party last Sunday. The day was overwhelming because my 5-year old niece, Alexa, broke her arm above the elbow and had surgery. We found out my second cousin, Matias, was killed in Denver. I was so distracted by all the tragic news that day, I totally forgot about Joshua's party. I had begun work on this for the CARDS magazine blog when they were asking for star-shaped cards. I didn't have a chance to finish it by their deadline. The template for this card comes from Kristina Werner when she created it for the Hero Arts blog. You can find the template here. The patterned paper is from The Boyfriend line by Cosmo Cricket. 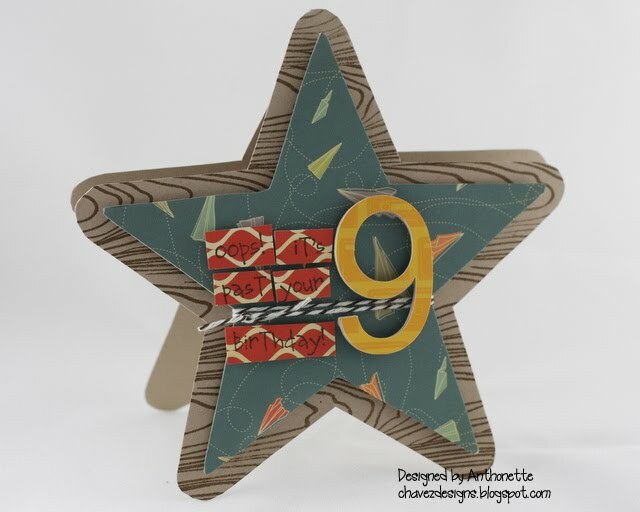 I used my Silhouette digital cutter to cut the 9 from Cosmo Cricket paper and several times from kraft cardstock in order to make my own chipboard. 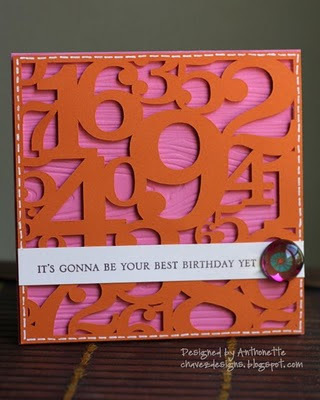 The sentiment comes from a retired Stampin' Up set. The original sentiment read "Oops! It's a hare past your birthday!" I just removed the word "hare". I was too lazy to take a new picture, but I added a "th" after the 9 so it reads "9th". Hey there! I was happy to participate in the Cards for Kids drive hosted by Kelly Marie of Lawn Fawn. The Lawn Fawn Hearts Cards for Kids blog hop starts today. If you want to start from the beginning, start here. I choose to make cards for Kennedy and his family (13 yr old brother, Kaleb and mom, Kristen). Kennedy is 6 years old and was diagnosed with Chronic Myeloid Leukemia (CML) earlier this year. You can read more about CML here. 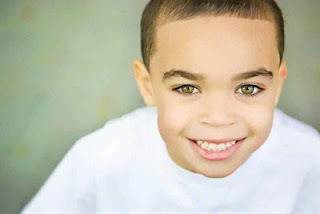 He is such a cutie! I can relate to 6 year old boys, since my son Kalino just turned 7. 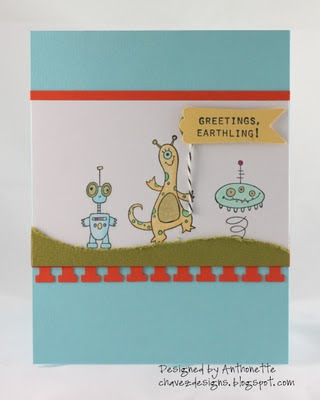 I made Kennedy a card with some cute aliens from the Greetings, Earthling set by Stampin' Up. If he's like my son, he'll get a kick out of the wacky aliens and the "Greetings' Earthling!" flag. I used my Copic markers to do all the coloring. I'm very new at using Copics and have less than 2 dozen colors so far. They are fun to play with! Next, I made this card for Kennedy's brother, Kaleb. The stamps are from the Everyday Button Bits set by Papertrey Ink. 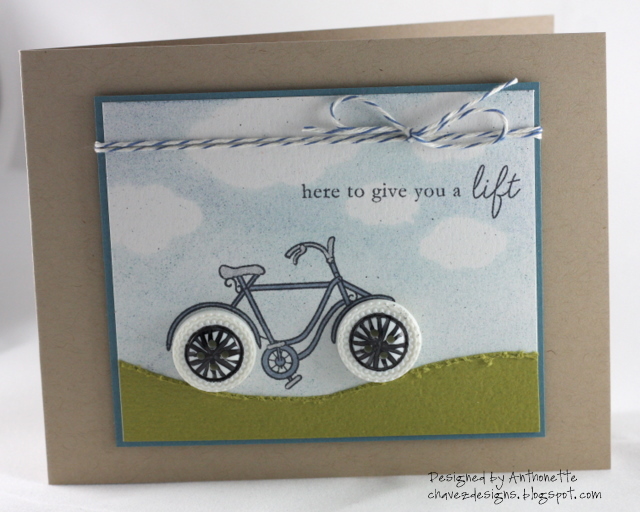 I used my Copic markers to color in the bike and add "spokes" to the button wheels. I sponged over some Hero Arts clouds that I cut out with my Silhouette. And finally, I made this card for Kennedy's mom, Kristen. I used the Papertrey Ink set, Everyday Button Bits. I also managed to incorporate some baker's twine on this card. 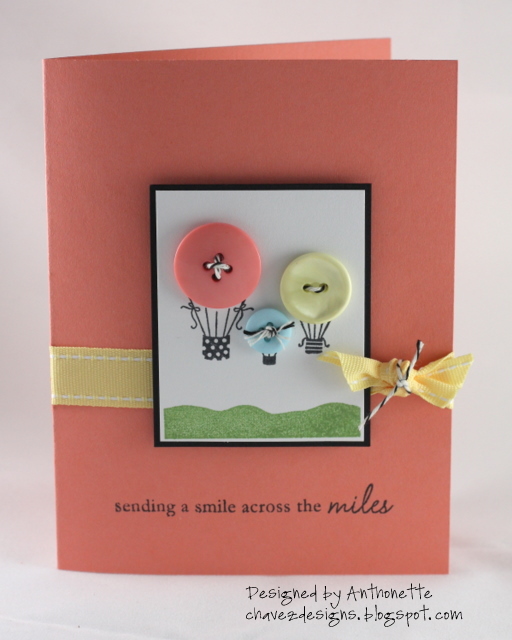 The paper, buttons, and ribbon are all from Papertrey Ink. 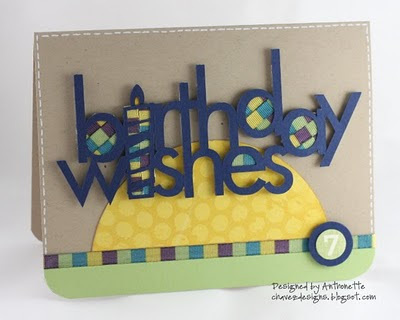 The next stop on this blog hop is Tanis and her blog Card Confessions. Have a good one! Hi everyone! I hope you are having a groovy-licous day. I made this card for Cath's latest Moxie Fab World Challenge: Signs of Peace. 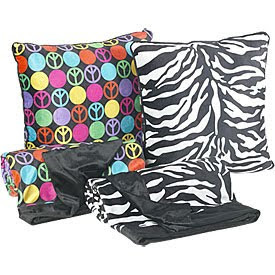 I love seeing the peace symbol in fashion and decor. Last week, one of my nieces' birthday gifts had peace symbols all over it. My card was inspired by a pillow I saw in an ad for Big Lots! this week. Inspiration can come from anywhere, right? 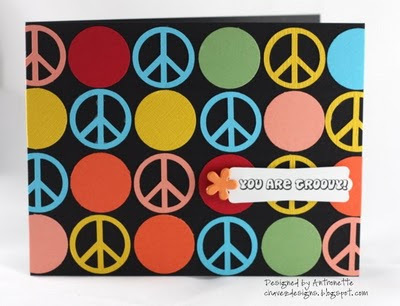 Since I didn't have any stamps with peace symbols, I used my Silhouette digital cutter and this downloaded peace symbol icon to cut out my peace symbols. I used a circle punch for the circles. For the sentiment, I downloaded a free groovy 60s-type font. I choose this one called Disko from dafont.com. To add more flower-power to this card, I added a flower-shaped brad from Making Memories. 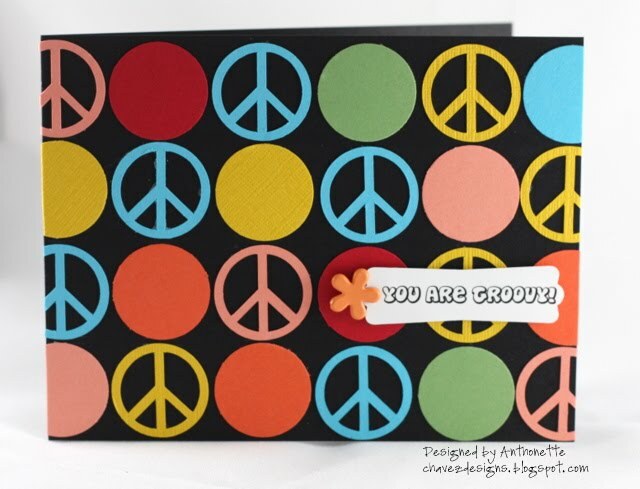 Tip: This type of card is a great way to use up smaller scraps, which is my never-ending mission. Paper: Matte brochure paper (Xerox), Basic Black & scraps from SU! Hi everyone! I'm back from our family vacation in New Mexico. That was a good 2 weeks. Our time was split between Albuquerque and Taos. My parents and 90% of my relatives live in Taos. My dad is undergoing radiation treatments in Albuquerque, so we spent more time than usual in Albuquerque. My sister and her family live in Albuquerque, so we stayed there several nights. I took some crafting supplies and some pre-stamped and pre-cut odds and ends for the nieces to play with after Kalino's birthday party was over on August 1st. They had fun customizing some mini notebooks and they made cards. I also joined in the fun and created this card with a design I cut from my Silhouette months ago. I should have faux stitched the design before I put it on the card with foam tape, but I made my job a little harder. I threaded the button with linen thread from SU! and attached it to the card with a Glue Dot. Here's a picture of 2 of my nieces at work. If you haven't noticed, I really love my Silhouette digital cutter. 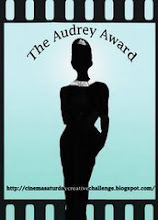 Here's another design made using the Silhouette. I made this card for one of my nieces who celebrates her birthday in less than 2 weeks. 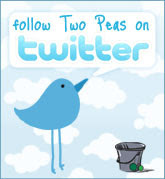 I also made this card for Cath's Moxie Fab Card Style Week: Let's Do Clean and Graphic challenge. Today, my favorite Little Guy turns 7! Yikes, where has the time gone? He'll be in second grade at the end of the month. 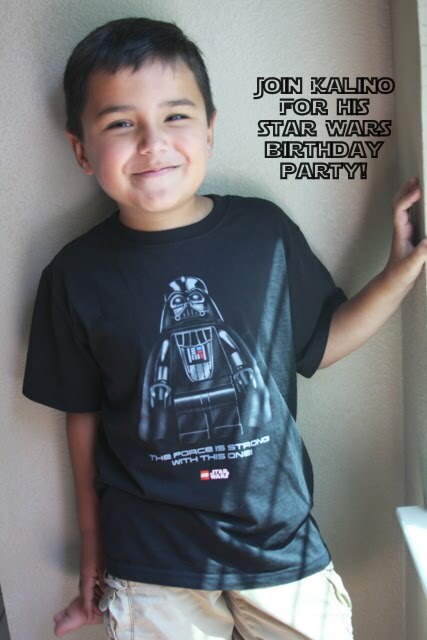 Today, we're having his Star Wars themed birthday party at my parent's house. I used my Silhouette to cut the Hero Arts birthday wishes design. I used this card by Kristina as my inspiration to fill the candle and letter with scraps of ribbon. 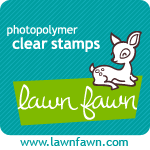 The number 7 stamp is a Martha Stewart stamp. The stamped and embossed So Saffron half circle was a scrap on my desk. Oh, the continuing saga of cleaning off my desk! It will never end. We'll I didn't get a chance to finish making invitations for Kalino's party, but here's my starting point. I downloaded several free Star Wars fonts and just used Picasa to write on top of the photo.